NOW INTRODUCING BURGER MONDAY'S & THURSDAY'S!! Join us every Monday & Thursday for our famous burgers and extra crispy fries! Hand made and pressed extra large patties cooked fresh to order. Comes with our special sauce on a beautiful brioche bun. Weddings, parties, events and more. We do it all. Facilities upto 600 people or choose your own location. Full chef made persian buffet available as well as all other cuisines. Trust us with your big day. Call, email or text for more info. Tastings available! Tired of the same old thing? Looking for a great meal to highlight your day? Well, look no further. Try Zia's Cafe and Grill. Serving breakfast and lunch daily. Breakfast wraps, pastries, coffee and tea, paninis and sandwiches, soups and salads, snacks and much more, all at incredible prices. Also serving a huge selection of daily specials which include butter chicken, jambalaya, pulled pork sandwiches, meatball subs, calzones and more. Homemade soups, such as, Potato Leek, Daal Curry, Cream of Broccoli, Lentil Soup and much much more. Everything is always made fresh in house. Want to buy the office breakfast, lunch or even dinner? No Problem! Zia's offers sandwich platters, fruit trays, vegetable trays, pastry trays, salads, dip platters and more. Special requests available upon request. 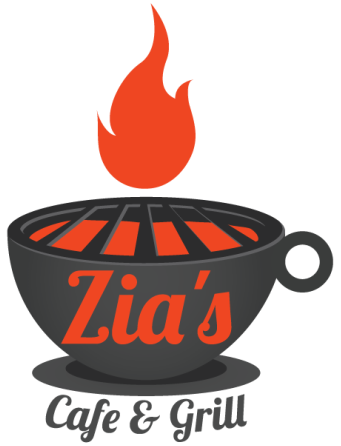 Zia's Cafe and Grill. Serving breakfast, lunch, pastries, coffee, snacks, and much more. Catering also available. Also offering full Iranian/Persian catering options.